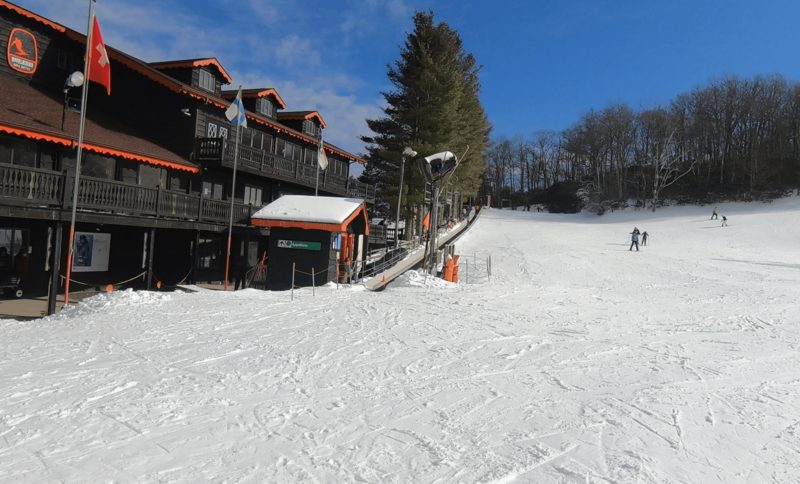 Wednesday was a great day to ride at Appalachian Ski Mountain. It was a chilly 28°-33° most of the day, with little to no wind and the slope conditions were about as good as it gets. App had groomed things perfectly and even with pretty brisk traffic for a Wednesday, the slopes were perfect for carving. There was a soft, packed-powder with a bit of residual, leftover natural on top…or what felt that way. The thing I always enjoy about App is that even on the busiest of days, you can do laps without much wait at the bottom. I was able to turn in a ton of trips down, alternating between Upper & Lower Big Appal and Apple Orchard. What was supposed to be simply a day on the slopes turned into more than that. I had the pleasure of meeting some newbie skiers and snowboarders – which was appropriate since January is Learn to Ski & Snowboard month. 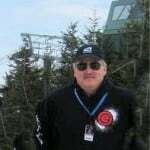 I also had the distinct honor of running across Jim Cottrell, a lifelong ski instructor and founder of the French-Swiss Ski College at AppSkiMtn. Jim is a real inspiration at 73 years old and exhibiting the obvious passion that he continues to have for snowsports. You guys can check out that bit of happenstance via this morning’s post. Also below is the ‘take-away’ from what was an awesome day to be at Appalachian. As I mentioned previously, I was not at App to do a story, but things just kind of worked out that way. What About Day Three of Playing Hooky? As it turns out, I hit a home run out of the park two days in a row by working half-days and skiing at Beech and App these last couple of days. I woke up this morning with plans to make it three days in a row at three different ski areas. I looked at the weather which was calling for a bit of rain that MAYBE would change to snow later in the evening. I also looked at the work that was piling up at the office and I made the decision to weasel out of day three. So what does ma nature do to punish me? It started snowing around noon and hasn’t let up yet! Oh well, it would have been nice…and I’ll have to do it again soon. 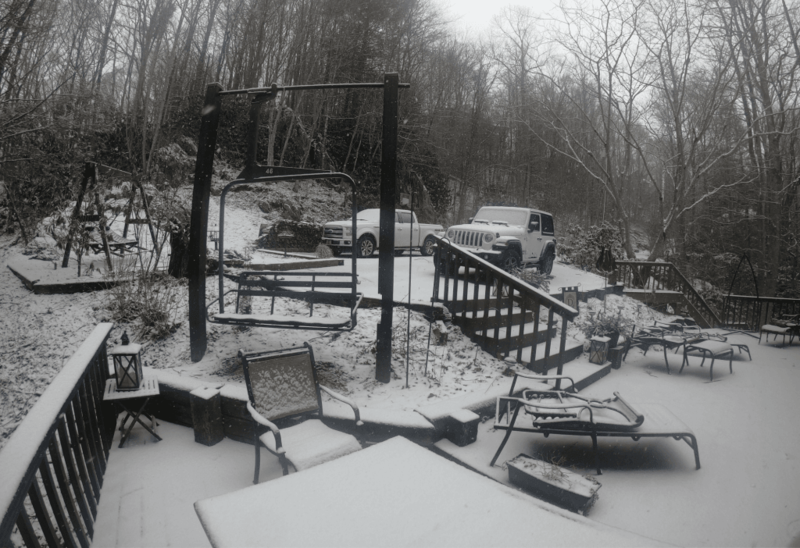 Here’s a quick snap of the snow on my front deck so far – about one-half inch. That’s my version of a chair lift in the forefront. I got a hold of one of the old ‘Green Chairs’ from Sugar Mountain a few years back when they were replacing that lift. Next articleSki Southeast Forecast for 1/17/2019.